You know that I am always sharing some of the fun and exciting treats and products that Bella and Max try. To say our dogs are spoiled is truly and understatement. One thing I have changed over the last several years is the type of products, especially food and treats, I give to Max and Bella. As a pet parent, they deserve nothing but the best and it is my job to make sure they get just that. When approached with a line of natural, organic vegan dog treats from Lord Jameson Dog Patisserie for them I was excited to give them a try. Lord Jameson was founded in an effort to kindle the unconditional love and companionship that dogs have devoted to humans for thousands of years. Treating dogs with devotion, respect, and of course delicious food serves to honor their unspoken loyalty to humans. 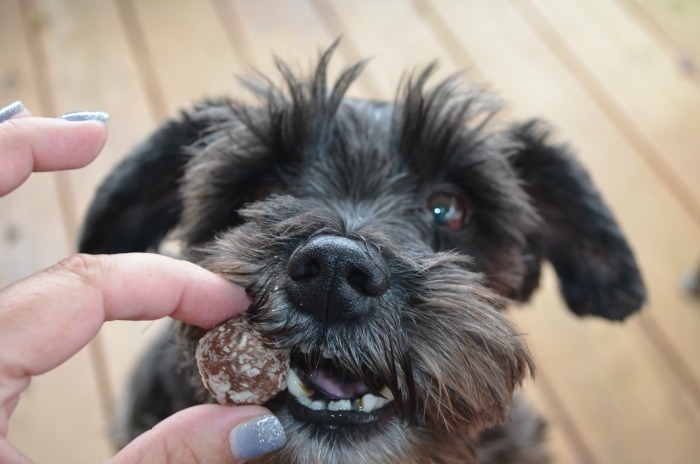 Dogs love to eat so why not curate treats that provide the finest culinary experience. We spent two years developing the flavors and ingredient profiles in pursuit of formulating a 100% organic treat that is beautiful in form, without any preservatives, artificial colors, flavors or GMO ingredients. To say that Bella was eager is an understatement. She was eagerly wagging her tail and was ready to bite right into her new good girl treat. I was delighted that she was so excited and had no hesitation in gobbling it up. I love that it is made right here in the U.S. and has only the highest quality ingredients from natural products. Each treat is packed with nutrients, vitamins and super-foods and hand-rolled in organic coconut shreds. I thought that my little guy, Max, would turn his nose up at it, especially with the coconut coating, but he sure proved me wrong from the first treat. Lord Jameson treats have become their new favorite snack and I love that they are completely natural and have only ingredients that benefit them and their health. You too can share Lord Jameson Dog Patisserie products with your pets. You will love giving them the best ingredients possible, and they will adore the taste. 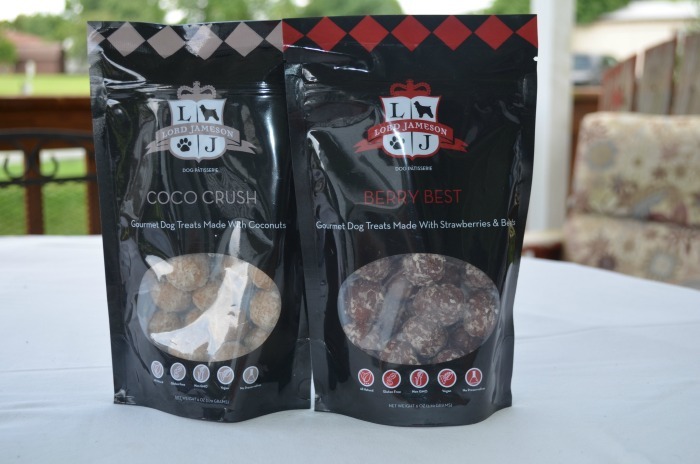 Be sure to stay connected with Lord Jameson Dog Patisserie for the latest products and sales information available. These treats sound delicious! for my pets, I think its so important if we want to treat ourselves good why not our pets. These dog treats sound delicious, I definitely think our pup would like them! I love that they are natural. 🙂 Thanks for sharing!